This is Thanksgiving, so glue friendly or I’ll take your glue away and then no one will have any glue to glue with. Thanksgiving in my family means pecan pie — pronounced peh-CAHN, as nature intended. A “pee can” is something you keep under the bed! The Kev loves the way I say “pecan” — it can’t be easily replicated by the English tongue. I love the way he says…well, everything, really, but “premier” and “tarpaulin” off the top of my head. The Kev and I have many things to be thankful for — among them, you, gentle readers. In gratitude, I’d like to share with you my grandmother’s pecan pie recipe (US and UK metric versions). I’m not biased at all when I say it is easily the best pecan pie recipe in the whole wide world! 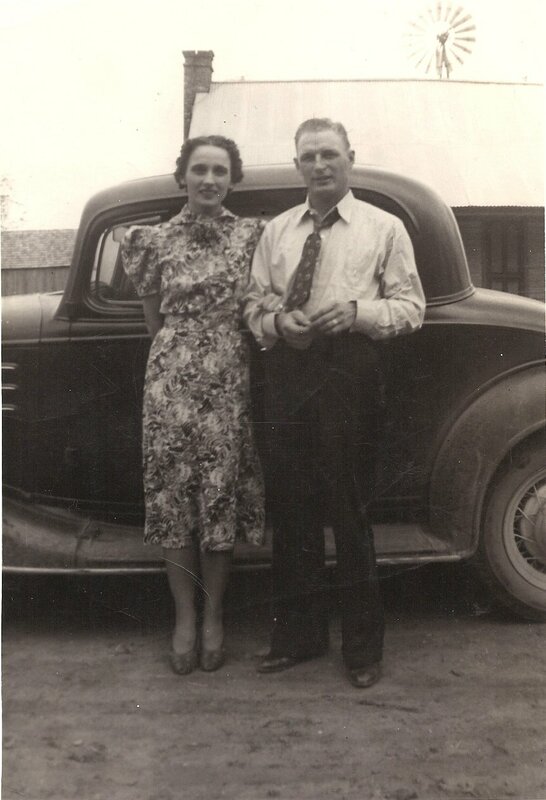 My grandparents Velma and Mickey back in the day. Line a deep pie tin with the crust; do not ventilate it. Roughly chop about 2/3 of the pecans, leaving quite a few intact halves. Place all the pecans in the bottom of the pie crust. Combine the beaten eggs with the sugar and syrup, then add all remaining ingredients, adding the melted butter last. Mix until uniform, then pour over the pecans. Bake at 350F for 50-60 minutes. Nutty crunchy top, sweet gooey base. Line a deep tart tin with the pastry; do not ventilate it. Roughly chop about 2/3 of the pecans, leaving quite a few intact halves. Place all the pecans in the bottom of the pie crust. Combine the beaten eggs with the sugar and golden syrup, then add all remaining ingredients, adding the melted butter last. Mix until uniform, then pour over the pecans. Bake at 175C for 50-60 minutes. 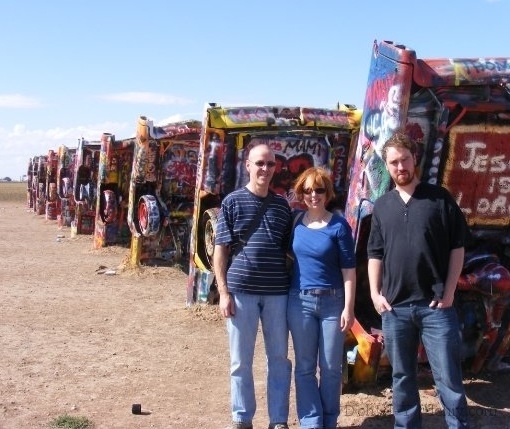 My reasons to be thankful (the guys, not the Cadillacs). 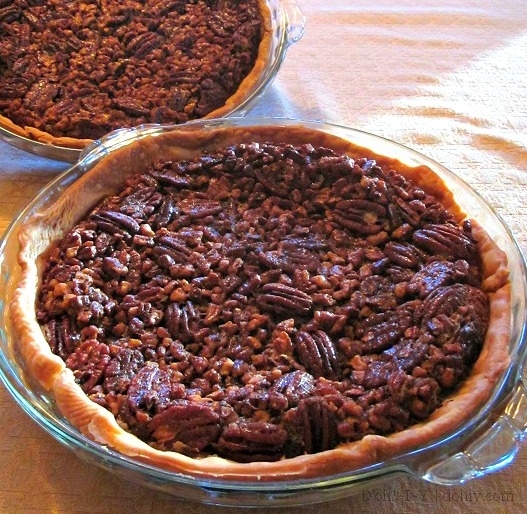 This entry was posted in American vs English, Family, Food & Drink, Romance and tagged metric pecan pie recipe, pecan pie recipe, pecan pie using British ingredients. Bookmark the permalink.